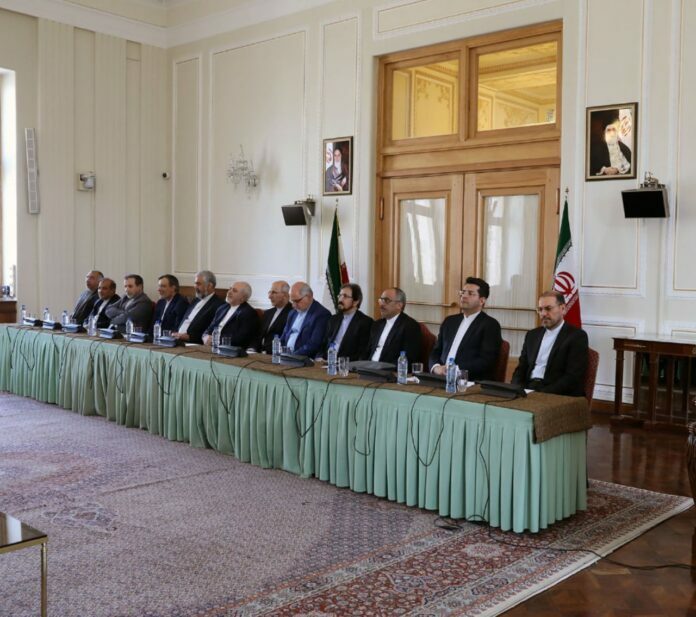 The event was attended by Foreign Minister Mohammad Javad Zarif as well as executives and personnel of the ministry. The new directors introduced at the ceremony included Hossein Panahi-Azar as the new director of the Administrative and Financial Department, Hossein Jaberi Ansari as the new deputy foreign minister for consular and Iranian expatriates’ affairs, Seyyed Abbas Mousavi as the new spokesperson of the ministry as well as the new head of the Public Diplomacy and Media Centre, and Ali-Asghar Khaji as the foreign minister’s new senior assistant for special political affairs. Also, former foreign ministry spokesman and the ex-chief of the Public Diplomacy and Media Centre Bahram Qassemi (appointed as Iran’s new ambassador to France); Panahi-Azar, the former deputy foreign minister for consular and Iranian expatriates’ affairs; Jaberi Ansari, the foreign minister’s former senior assistant for special political affairs; and Saberi, the ex-director of the ministry’s Administrative and Financial Department (appointed as Iran’s new ambassador to Tajikistan) were praised at the ceremony in recognition of their services.